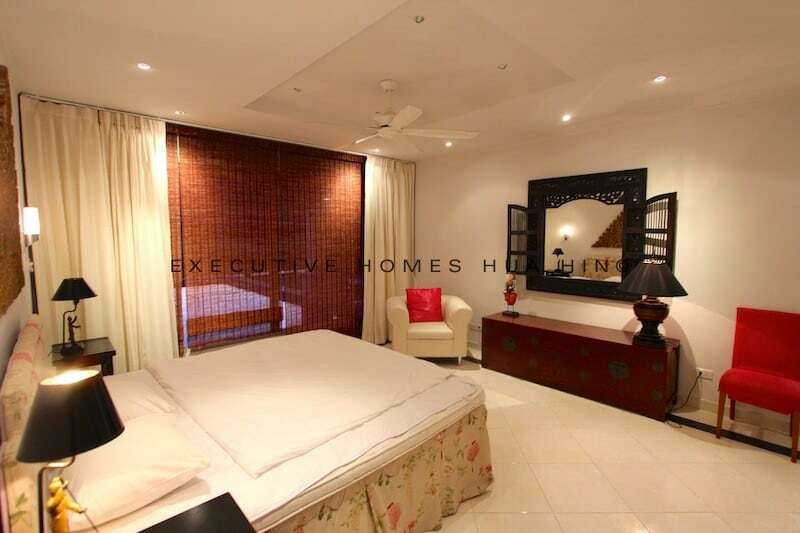 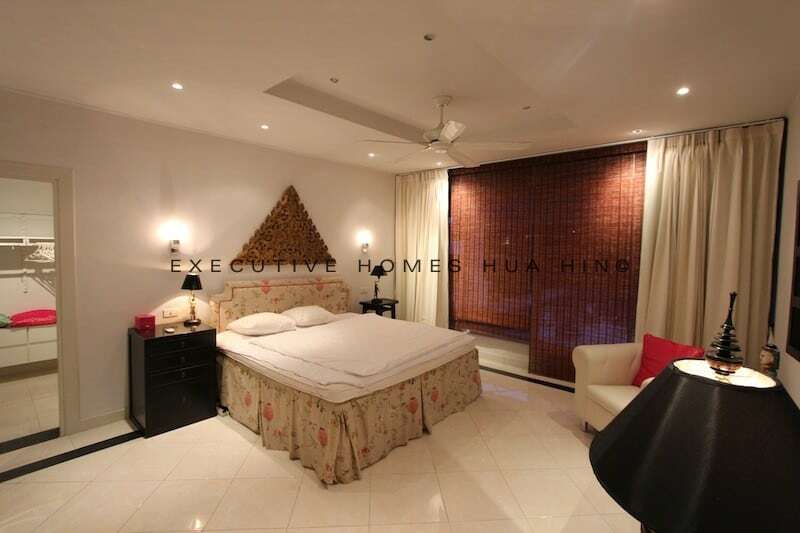 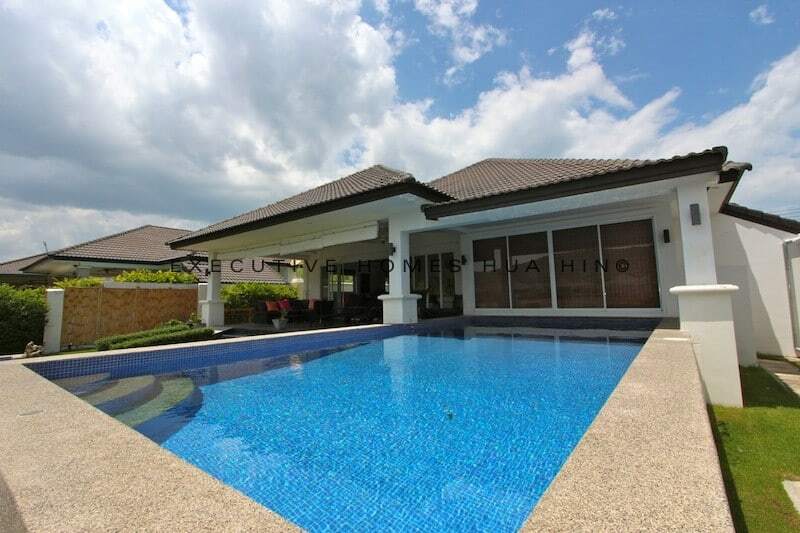 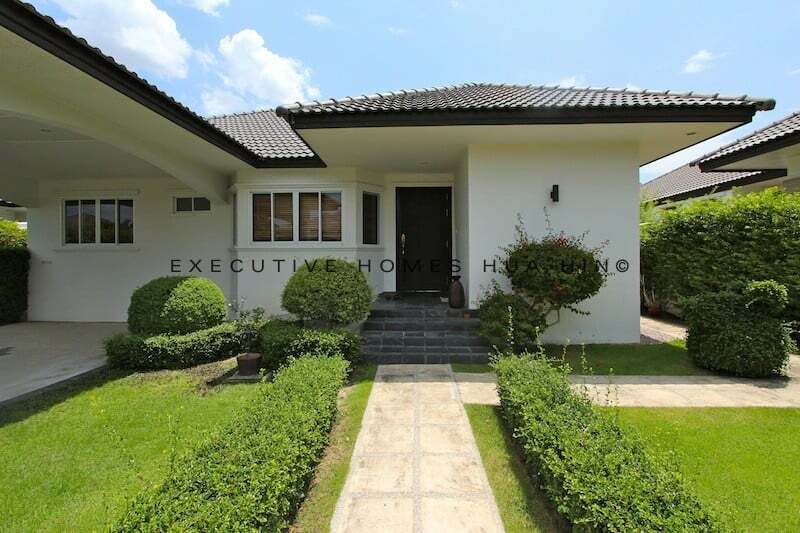 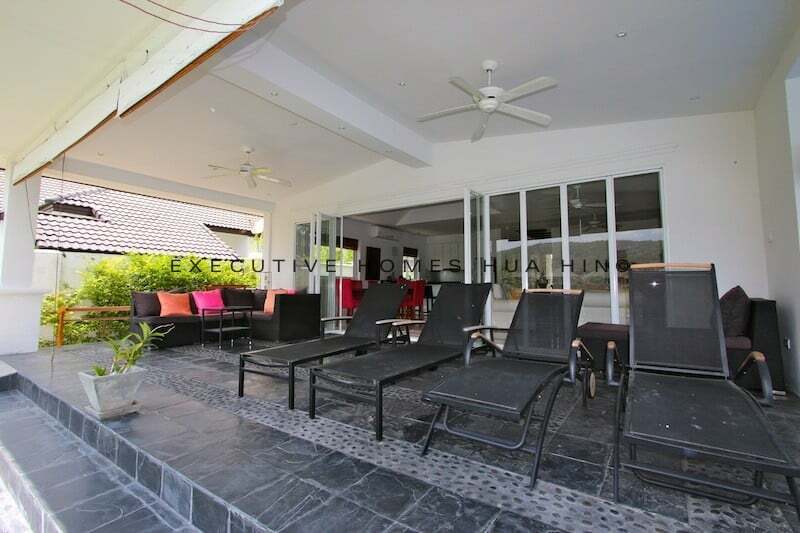 Are you searching for a rental home that is conveniently located in central Hua Hin? 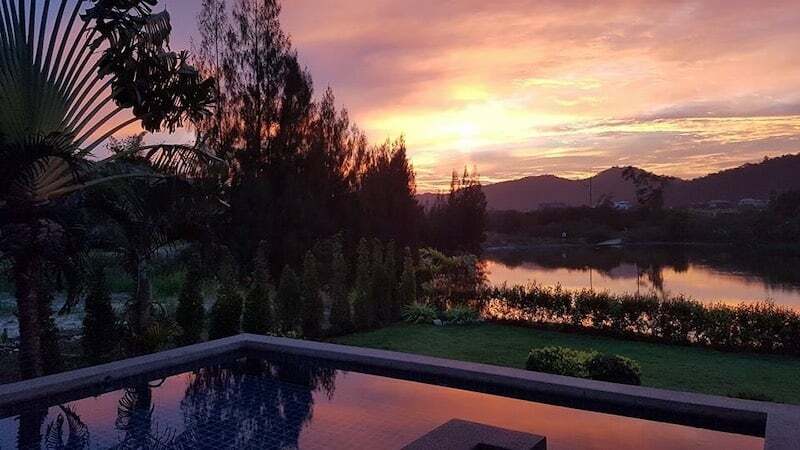 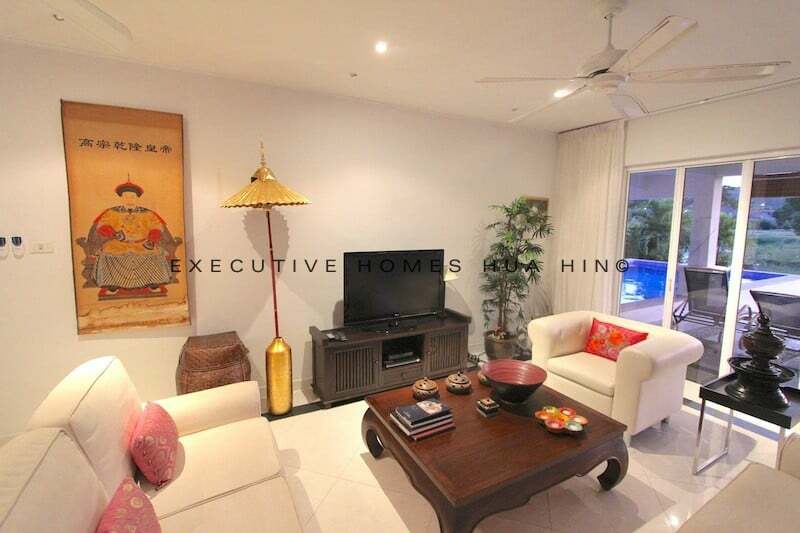 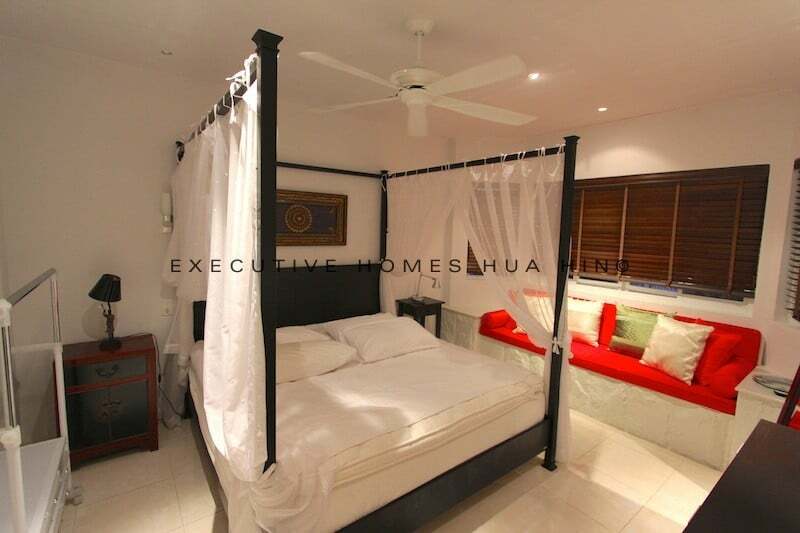 This is a beautifully furnished, Hua Hin town center 4 bed pool villa rental is close to Bluport shopping mall, restaurants, the beach and other fun amenities. 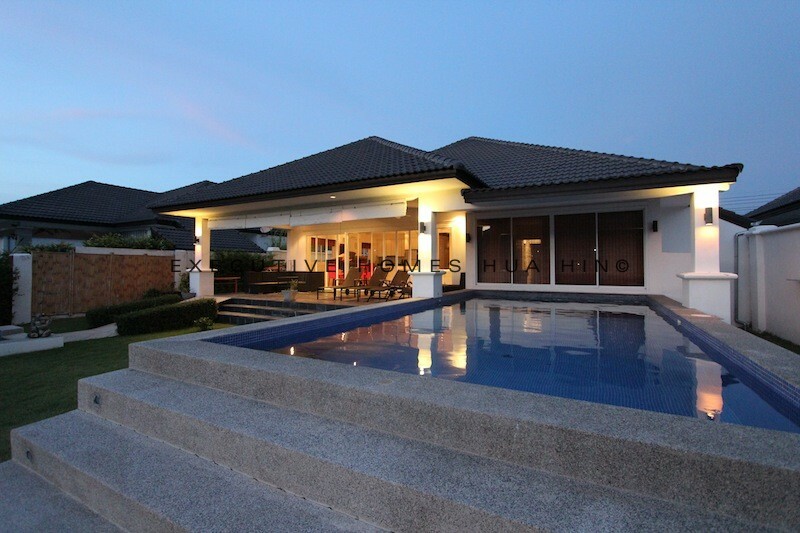 The pool villa is located on a completed development offering 3 good sized bedrooms, plus an additional single bedroom and 2 full bathrooms. 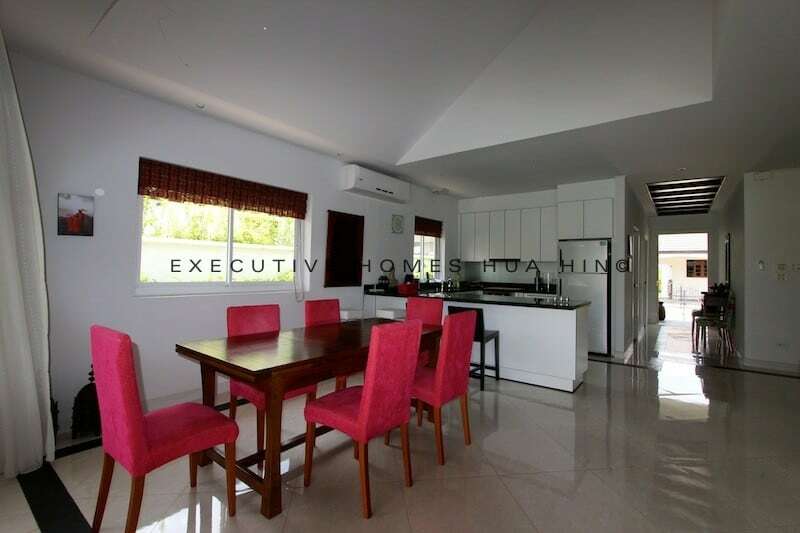 The house features an open plan, modern living room, dining area and fully equipped European kitchen. 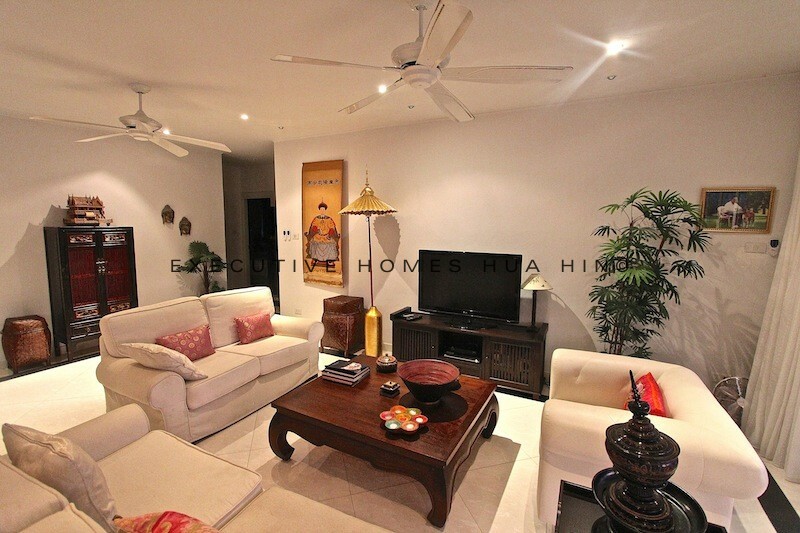 The house is rented fully furnished with high quality, modern furnishings. 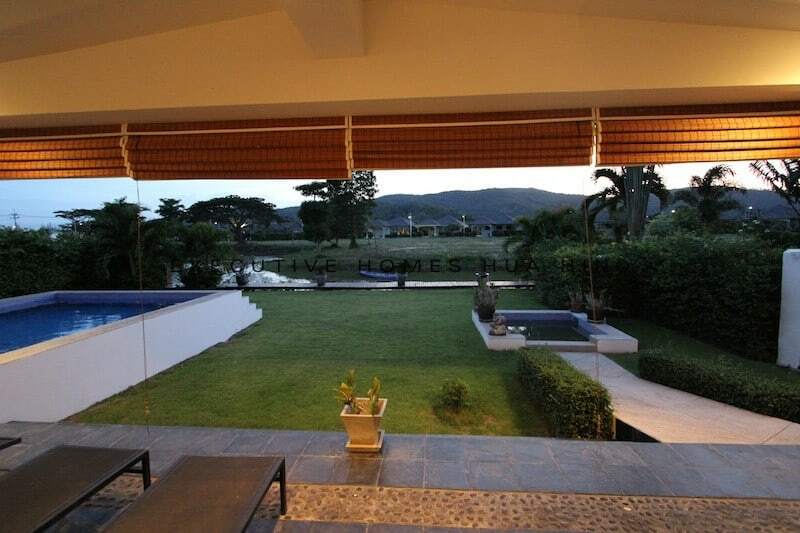 Outside is a large lawn garden with decking areas and covered terrace to enjoy the lakeside views and sunsets. 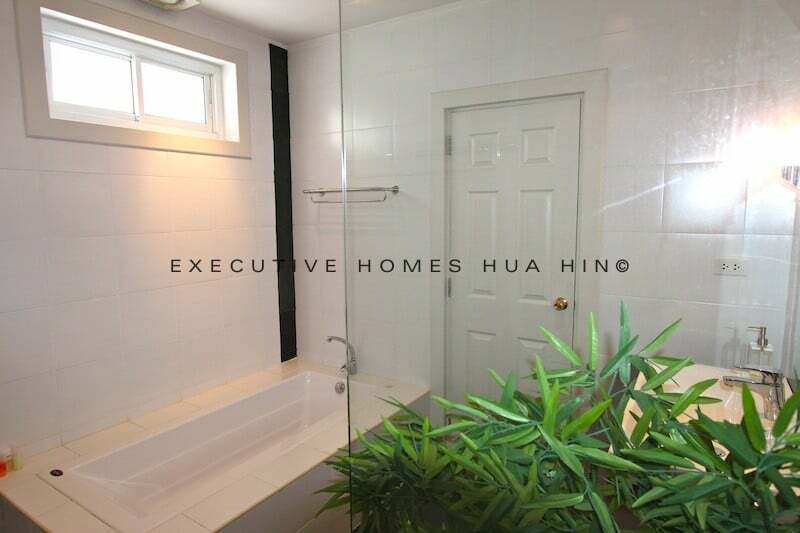 The pool is partially covered and extends just off the master suite, and there is a sliding door from the master bedroom for direct pool access. 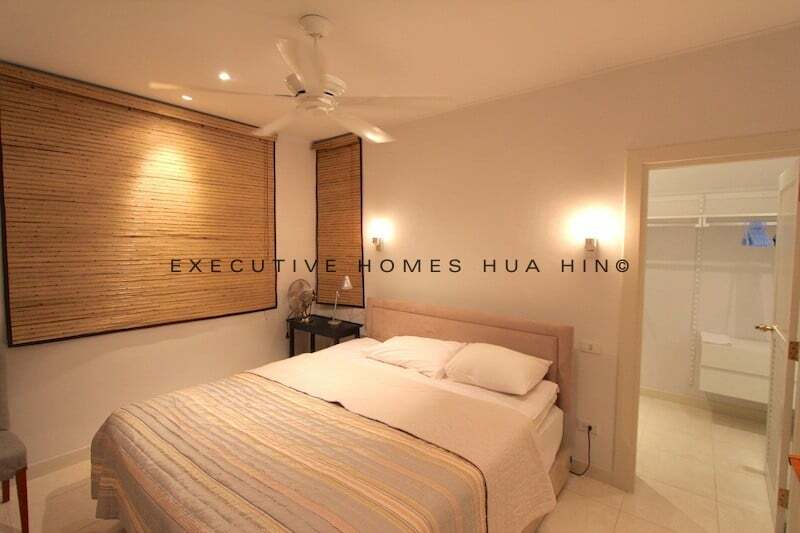 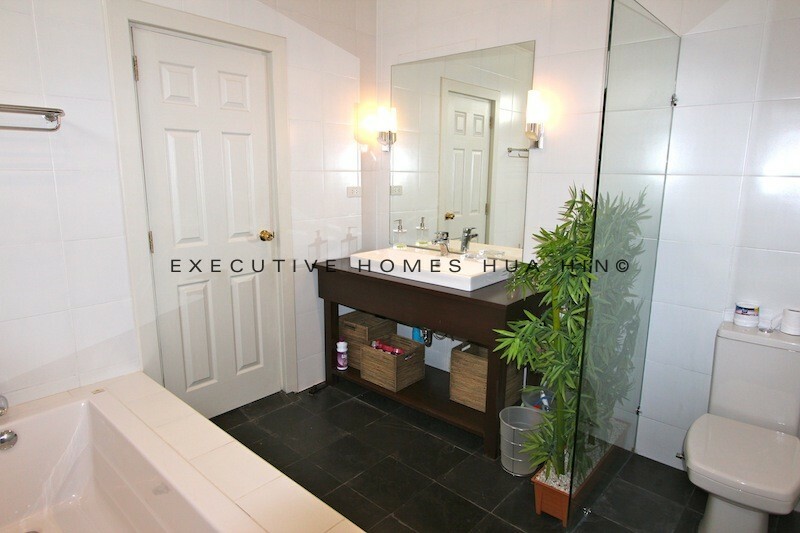 The development has a community pool and fitness center, and the location is less than 1.5km to the beach and approximately 2 km to town center. 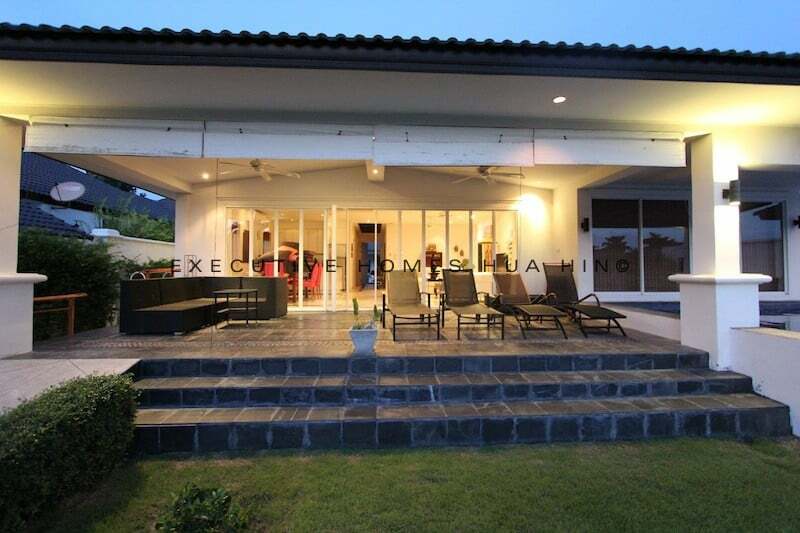 There are many shops and restaurants within walking distance. 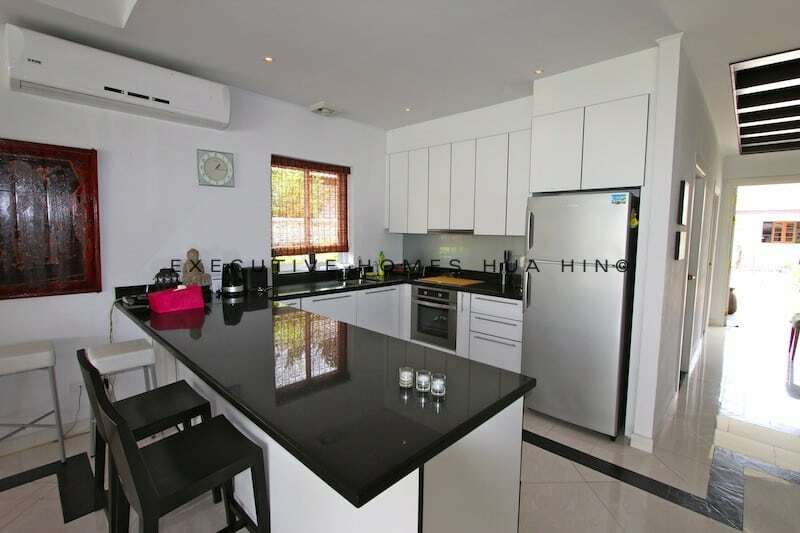 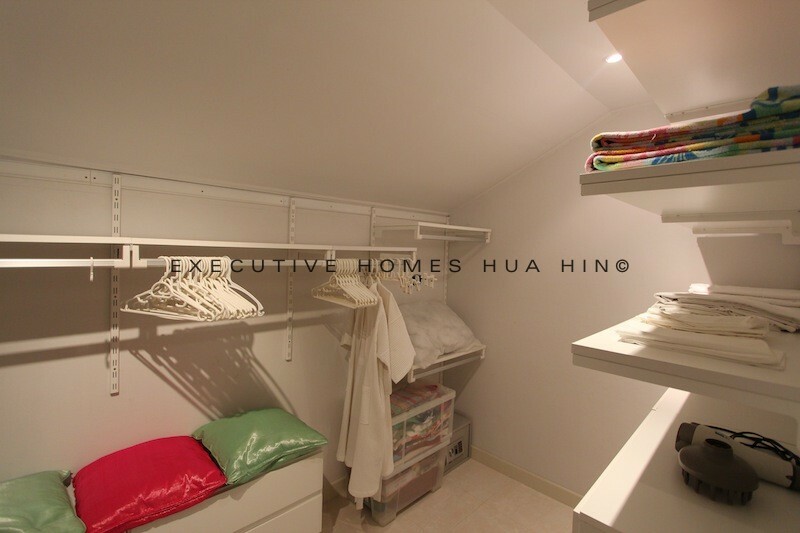 Perfect location for a family with kids attending either of the three nearby international schools (Halio, BECC or Yamsaard).